Last weekend, the lineal champion at light heavyweight was in action, with Adonis Stevenson knocking out Andrzej Fonfara. In two weeks time, Andre Ward will rematch Sergey Kovalev, in the most important fight of 2017. So let’s take a look at the division’s top 10. 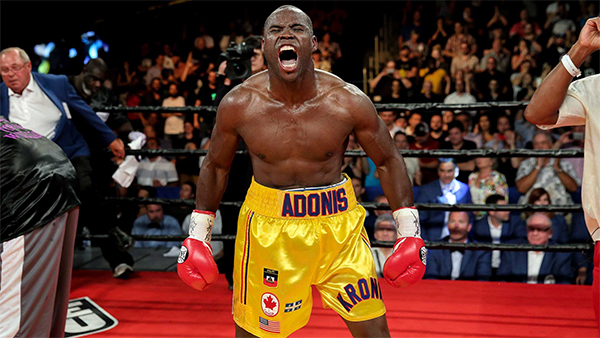 Champion: Adonis Stevenson He proved nothing of importance by smashing Fonfara last weekend. As I noted last week, he’s the champion who doesn’t really matter. No. 1: Andre Ward I actually scored his fight with Kovalev last year as six rounds each, with Kovalev getting a narrow victory due to his knockdown. But I’ll respect the ringside judges’ decision. No. 2: Sergey Kovalev He has made no secret that he feels he was robbed last year. He should be an extremely motivated and determined fighter. No. 3: Eleider Alvarez One of the several light heavyweight stars living in Quebec, the Colombian native defeated former champion Jean Pascal with an educated jab Saturday night. Now 23-0 with 11 KOs. No. 5: Artur Beterbiev He was Kovalev’s rival in the amateur ranks back in Russia, now fights out of Montreal and is 11-0 with 11 KOs and victories over a string of second-tier contenders. No. 6: Oleksandr Gvozdyk The undefeated Ukrainian is a good candidate to emerge as the division’s next superstar. No. 7: Joe Smith Jr. He was viewed as nothing more than an exciting club fighter until he pole-axed Fonfara last year via Round 1 KO. There is no question that he is a legitimate, monster puncher. No. 8: Nathan Cleverly I do not believe the Welsh contender will ever reign as a true world champion. But he remains a relevant contender within the division. He stopped veteran contender Jurgen Braehmer last October. No. 9: Erik Skoglund The Swedish contender has a 26-0 record with 12 KOs and notable wins over Glen Johnson and Derek Johnson. I’d like to see him matched with a legitimate contender. No 10: Marcus Browne The 2012 Olympian is steadily building himself into a true contender.